New year, new blog post [finally]! I was just telling Chris the other night how much I miss blogging - the truth is, I have dozens of drafts waiting to be published but something just keeps holding me back. I want every word on this little site to be perfect even if only 3 people read it (hi mom!). But...alas...perfection is a long way off for this mama. This year I want my mind to be open, to embrace imperfection, to stress less about the struggles and be extra present in the little moments. Bundling up for the freezing Texas temps in a vain effort to save the Hibiscus tree and insulate the banana trees. 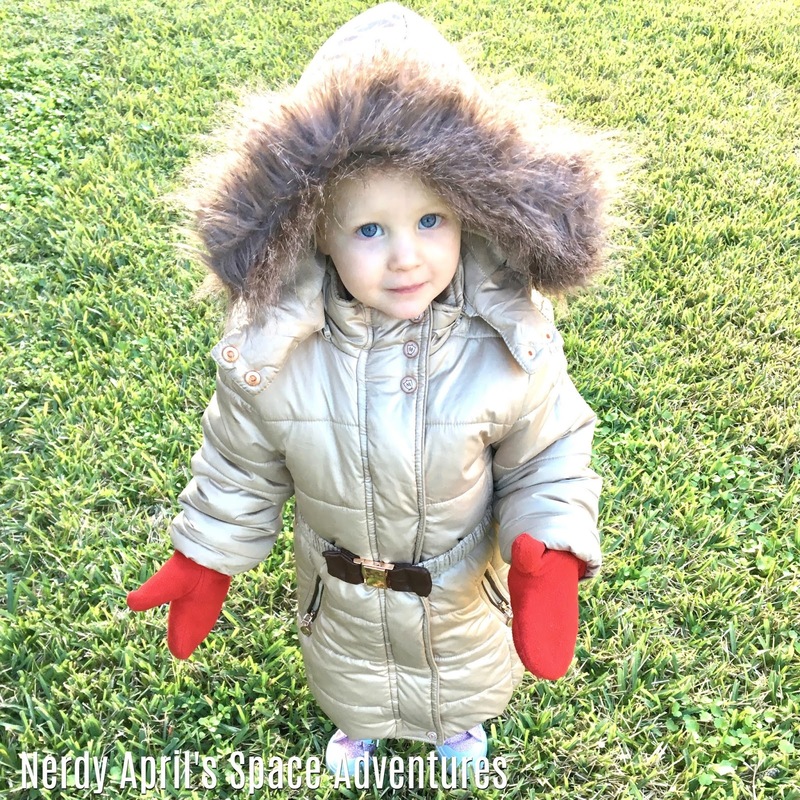 Zara enjoyed waddling around the yard and ripping off her mittens just so she could ask me to help her get them back on. I was just praying Chris would hurry up so we could all get back inside and cuddle by the warm fire. And even though my to-do list feels too-long right now, these little moments remind me to slow down, the Christmas tree can wait, the thank you cards can wait, the dishes and laundry and cleaning can all wait. When I'm on my death bed I'm not going to regret my lack of cleaning, but I will yearn for more time with her, and with my (growing!) little family! Happy New Year friends - may all your resolutions be sustained, wishes granted, and prayers answered!